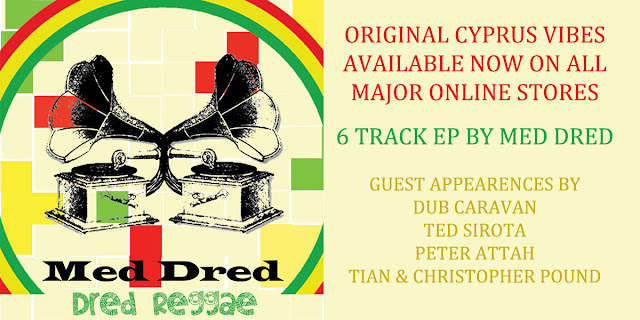 The Dred Reggae EP was originally released in 2013 on very few CDs and will be now available from the 24th May 2018 on all major online stores. It includes six tracks, dubbed and remixed in Cyprus by Med Dred exclusive for Dubophonic. Heavy one drops, deep echoes and reverbs, heart pounding bass lines and conscious lyrics are the ingredients of his musical recipe. Accompanied by many guests, Med Dred creates his own personal sound, nevertheless remaining true to the original vibration of roots reggae music.